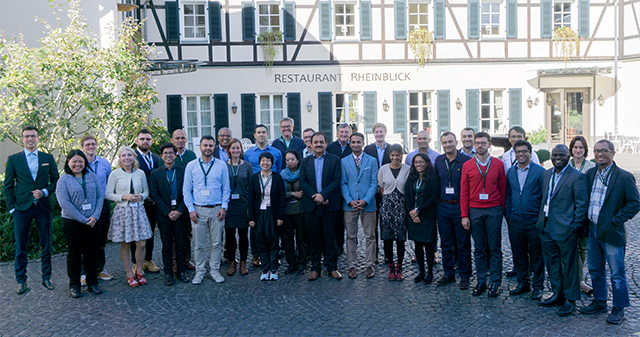 Recently a group of young professionals met in Unkel near Bonn for the Summer Academy on World Risk and Adaptation Futures, jointly organized by Munich Re Foundation and UNU-EHS in collaboration with UN Climate Change. 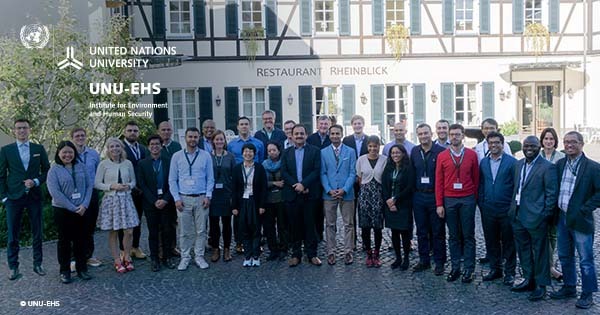 The 30 participants got together for a week to discuss future trends in vulnerability, risk, and adaptation in the context of environmental and climatic hazards. It was the first of a series of three consecutive summer academies. This year’s special focus was on the interactions between urbanization and future risk. “Science and policy in the field of climate change have for a long time concentrated on the appraisal of future trends in hazards, such as sea level rise”, said Dr. Matthias Garschagen of UNU-EHS, dean of the academy programme. “However, future risk is also heavily driven by the ways in which social, economic and political changes contribute to the increase of exposure and vulnerability, for example, when cities spread into existing flood plains or when formal disaster response is being dodged in informal settlements.” Hence, a stronger focus on such drivers of future risk is needed for adequate risk reduction policy and action. Dr. Balogun joined the Academy from Malaysia, however, he is originally from Nigeria. He described both countries as hotspots for urbanization, and he hopes to be able to apply what was discussed at the Academy to his work in these areas. Urbanization is considered to be one of the core factors shaping future exposure and vulnerability to environmental and climatic hazards. A big share of future urbanization is expected to occur in hazard-prone areas, such as in deltas or along rivers, driving up the potential for future damage. This holds true especially for the global hotspots of future urban growth, which are in Southeast Asia, South Asia and West Africa. When future hazards occur they will be encountered by cities that will look different from today. However, it is not only the infrastructure that will change, it is also the people who live in these cities, due to demographic, economic and social developments that are always occurring as well. Dr. Elspeth Oppermann, who joined the Academy from Charles Darwin University in Australia, had a clear focus on people and how they deal especially with rising heat due to environmental change. “I’m interested in how climate change affects humans and how they interact with urban spaces. I want to contribute that angle and talk about how extreme heat is understood in Australia.” One example of what was important to her in this context was that policymakers need to look at humidity and not just ambient temperature when they assess heat risk, because really makes a difference for the human body. 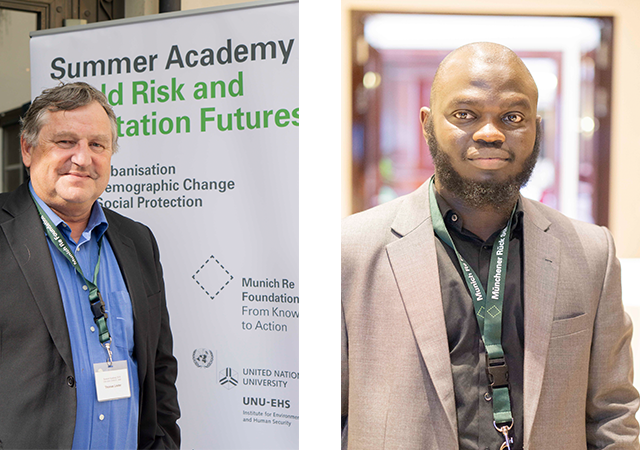 In addition to presenting their individual work, participants were able to receive input from renowned experts in the field such as Prof. Mark Pelling of King’s College London or Youssef Nassef, Director of the Adaptation Programme at UN Climate Change, for instance. 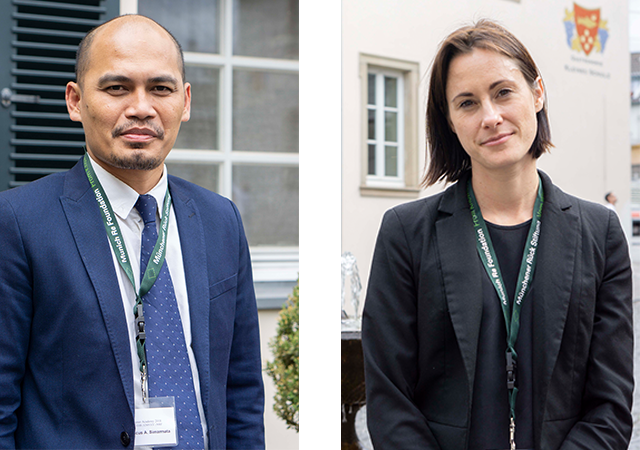 Fostering this kind of collaboration and co-creation between policymakers and practitioners is a key objective of the Summer Academy series. The participants will continue to collaborate and various outputs are being planned for the months and years to come. The remaining two academies of the series will (in 2019 and 2020) aim to address demographic changes and social protection, respectively.